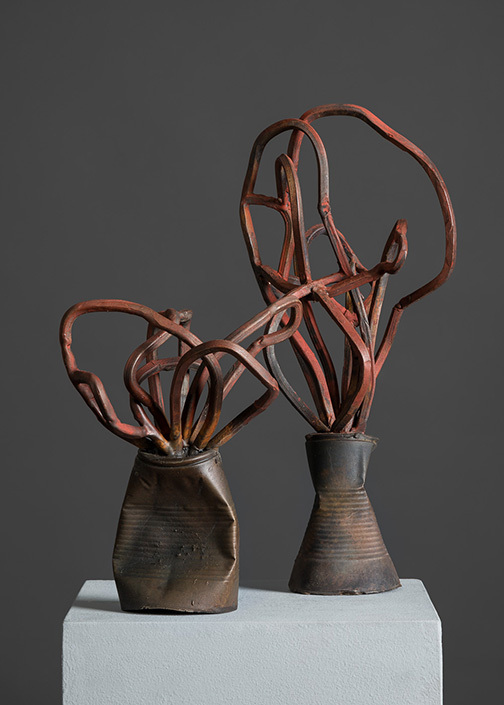 This work draws from Hayes’s early career experiences working in a renowned London Fine Art foundry, which is revisited in this new film work from 2016. 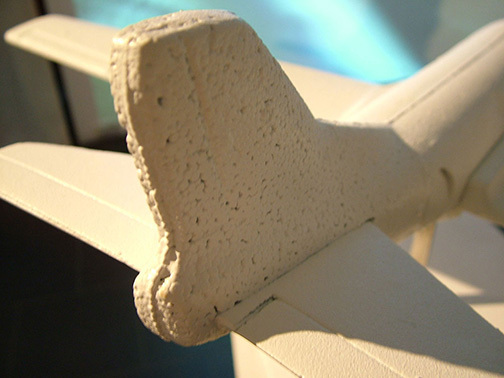 This documentary style works that draw out the often incongruous relationships between finished art objects, and the industrial aspects of their storage and processes that produce these often revered art objects/sculptures. 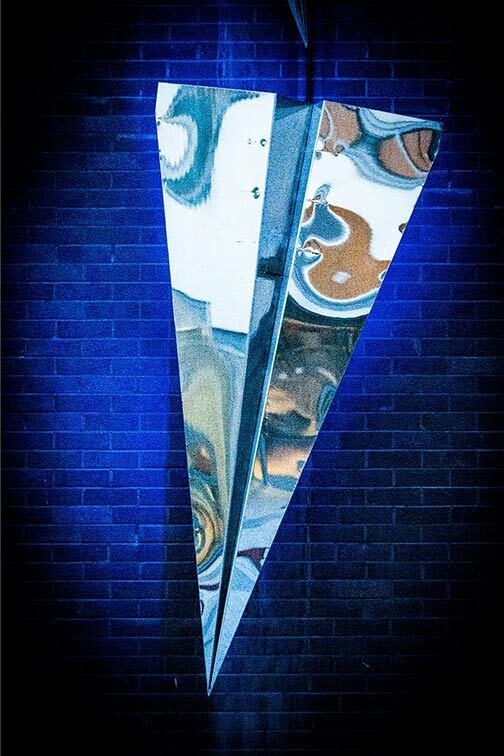 Please contact the Artist to view the complete film. 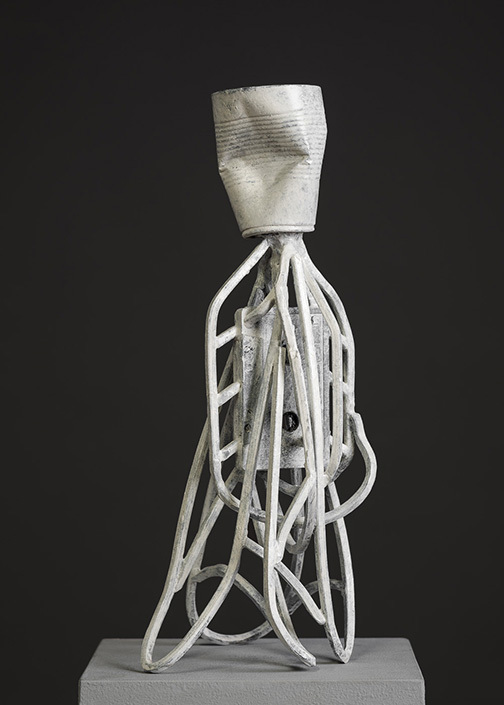 This work, reworked over numerous years, aims to reference some early modernist ephemeral rope works and sculptures works by the late Barry Flanagan. 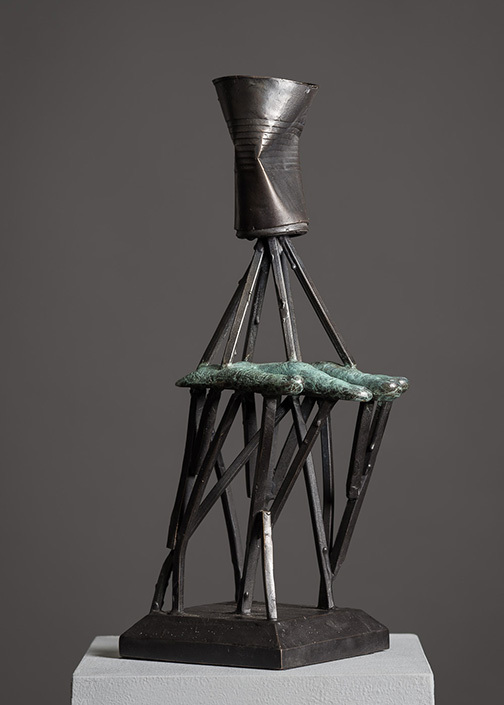 These sculptures take the remnants of the casting process as a part of the work, leaving on the runners and risers, which would normally be discarded. 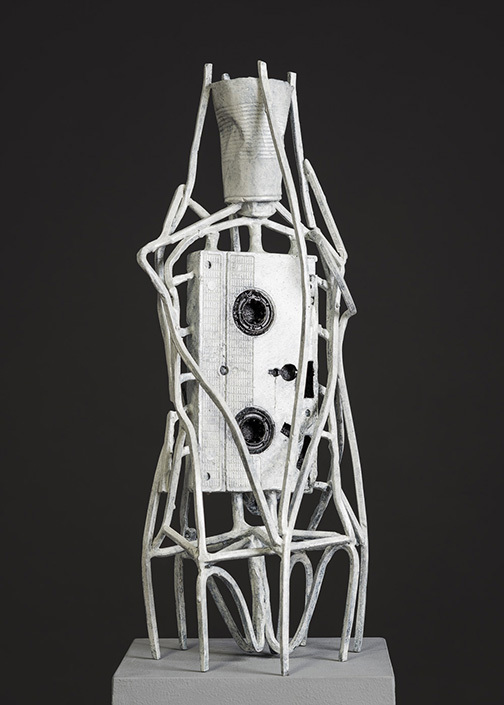 To anyone who knows how to make castings the structure and shape of the forms is obvious- they bear the signs of their making- to the untrained eye they are objects of the past- analogue tapes, cassettes and cups held up trophy-like by rods. 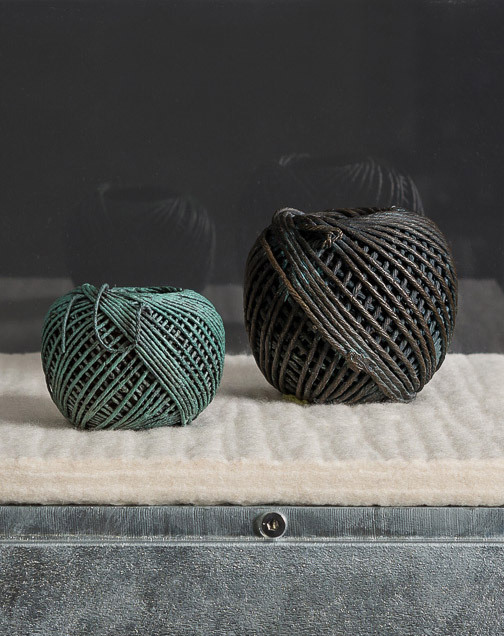 There is a contradiction between the nod to preparatory processes and unfinished objects, and the preciousness by which these sculptures are finished, treated and displayed. 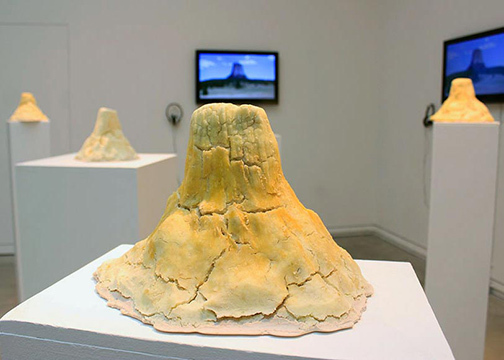 This two-part work Aloft on a rock, (Devil’s Tower)’ draws from the anthropological history and popular culture of the USA, referencing well known imagery from the Hollywood film industry in order to explore the supernatural and superstition through science fiction. 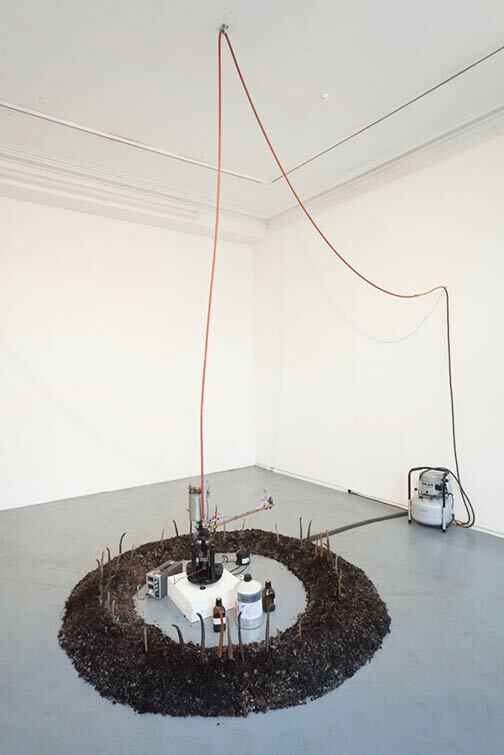 In a nod to the seminal scene from Close Encounters of the Third Kind, 1977, this work aligns the landscapes of Ireland and the USA via the use of the potato. 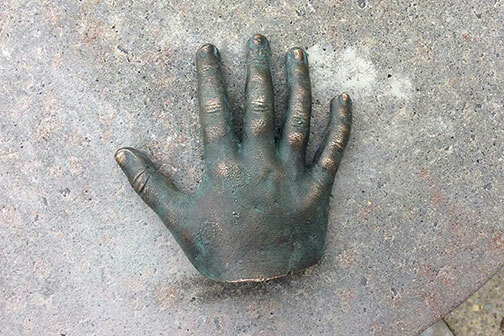 It alludes to shared cultural history forged not only through displacement and immigration but through popular culture. 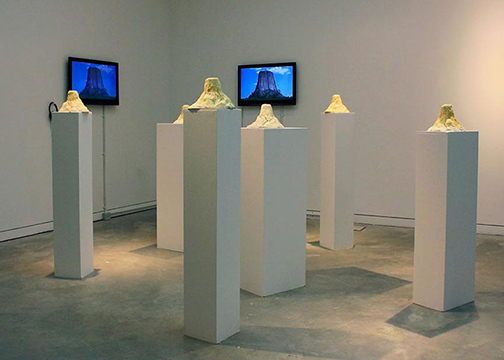 The film element was filmed on location at Devils Tower National Park & monument in Wyoming in 2012, during production of first HYBRID exhibition held at Redline Contemporary in Denver Colorado. 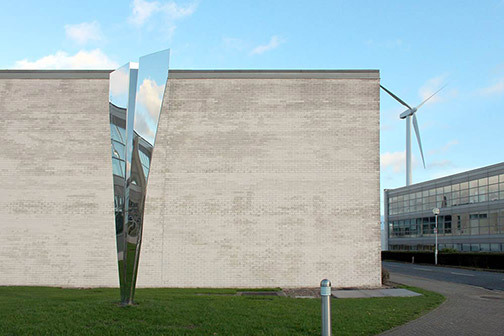 Commissioned for HYBRID IRELAND, Regional Cultural Centre, Donegal, 2016. 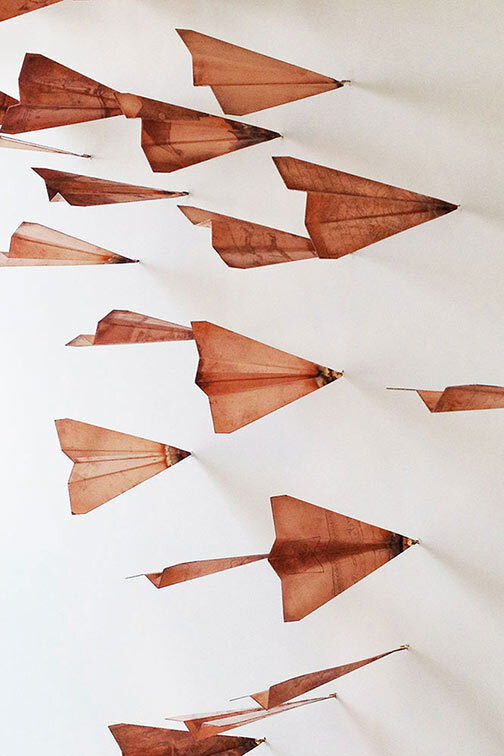 Curated by Rian Kerrane. 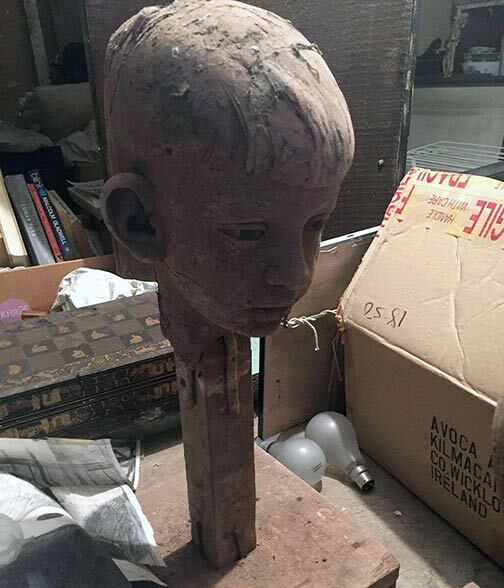 Irish artist Simon English as a young boy, modeled by his father Stanley English, 1960? 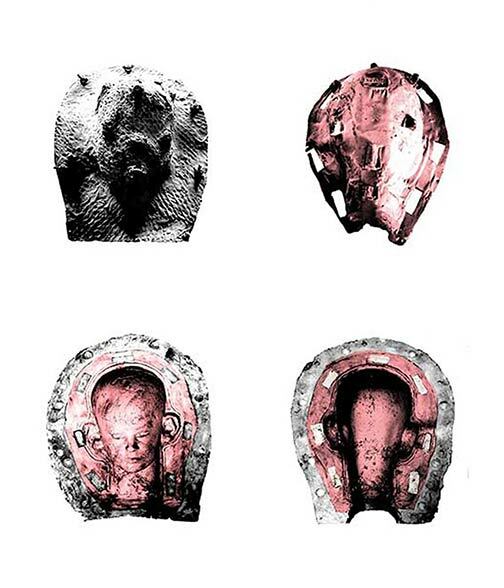 This series of prints documents the process of mould making a clay head portrait of the established Irish artist Simon English as a young boy, which was modeled by his father Stanley English in the 1960’s. 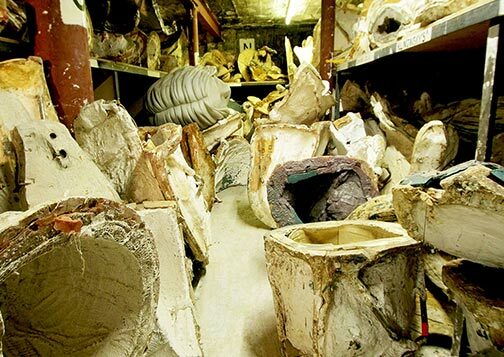 The work aims to explore the process that simultaneously preserved and destroyed the original clay head/artwork. 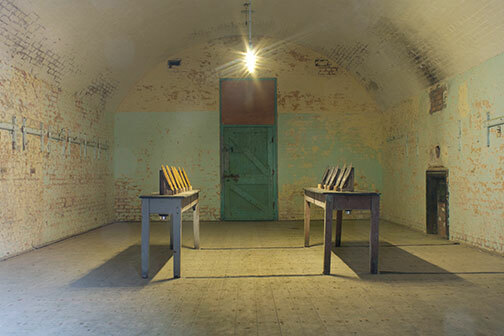 This two-part sculptural sound installation utilised a range of found materials, from the Former Fort Camden site at the entrance to Cork Harbor and was located in two rooms of the casemate buildings in the Fort Camden barracks. 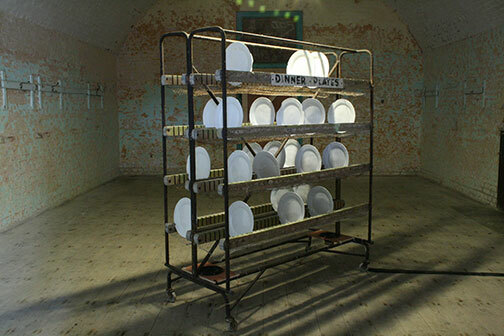 Fort Camden was never subjected to military attack and so this work comments on the function of this site by focusing on the plate as a symbol of domesticity and routine meal times, as a less dramatic aspect of military life. 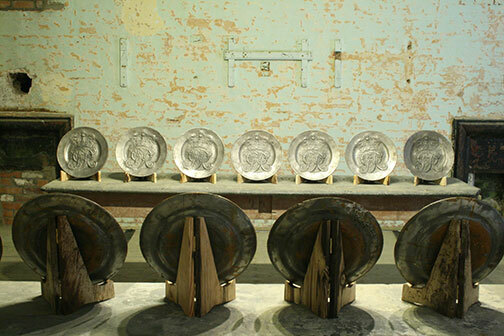 The plate works in both rooms were made by collecting scraps of cast iron from the former guttering, railings, and balustrades on the site.In one of the rooms a series of iron plates are placed on a plate rack from the military kitchens, these plates are marked with the coordinates of the place in which the iron, from which they are cast, was found. 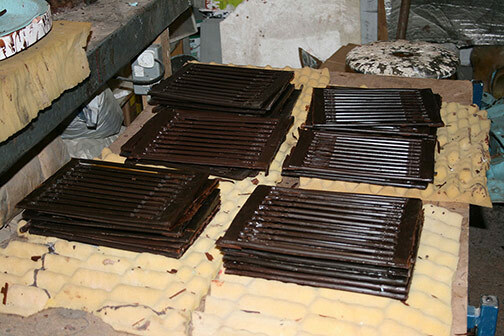 This work was accompanied by a motion sensor which triggers the sound of rattling plates when the room is entered. 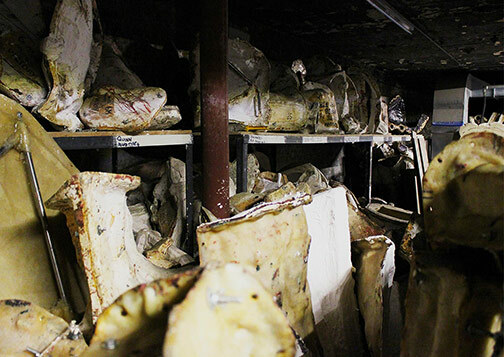 The second room is made up of a series of commemorative plates which display the crescent of king George III, transferred from a canon found on site. 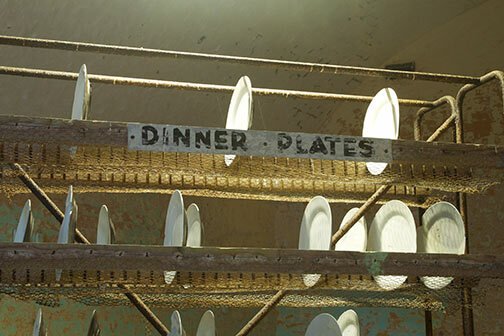 These plates stand on wooden stands made from former floorboards of the case mate buildings. 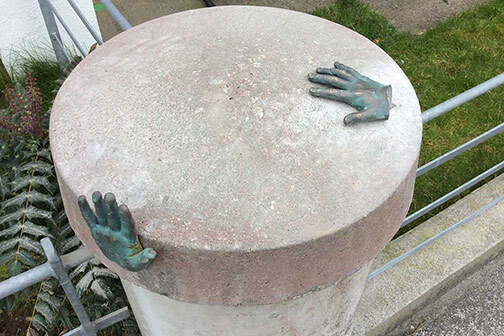 They stand on pastry tables from the barracks kitchens. 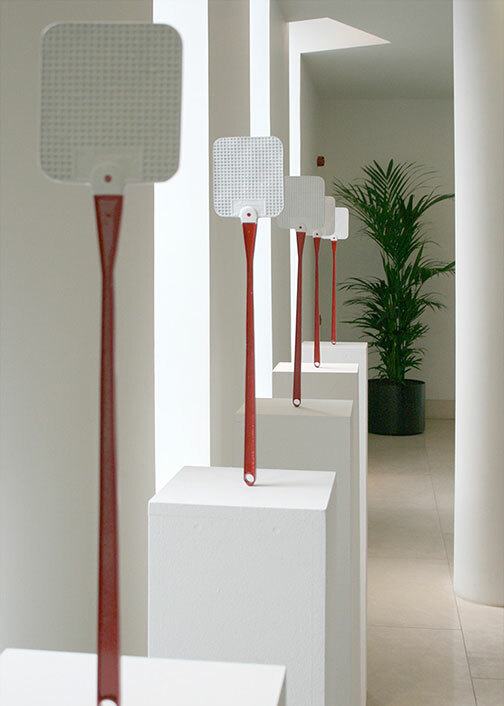 This work was also accompanied by a motion sensor which triggers marching sounds and calls upon entry. 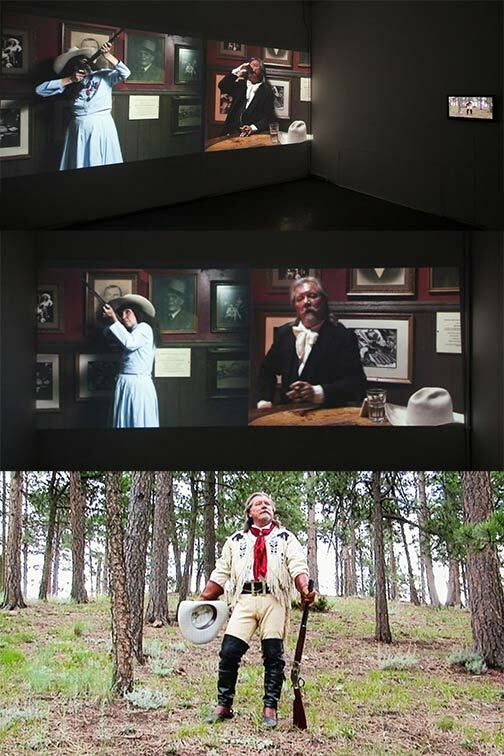 This split-screen video explores the notoriety of some of America’s most infamous early western frontier men & women examining their mythic status and legacy. 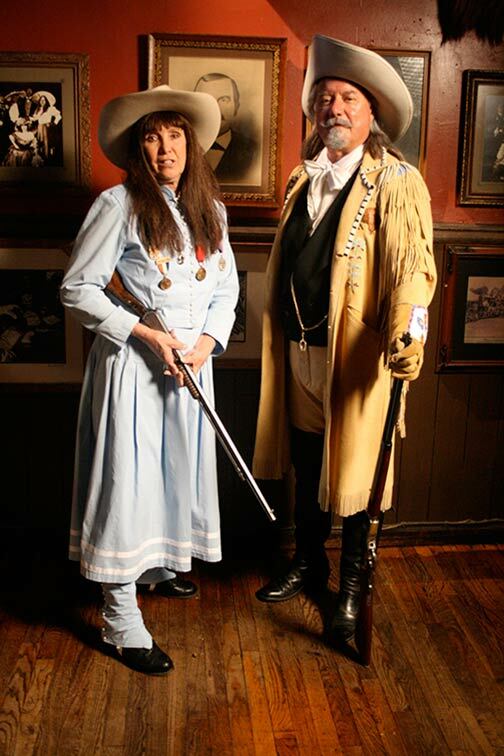 Buffalo Bill & Annie Oakley remain to this day, two of the most well known names and faces of what may be considered the old American (wild) west. 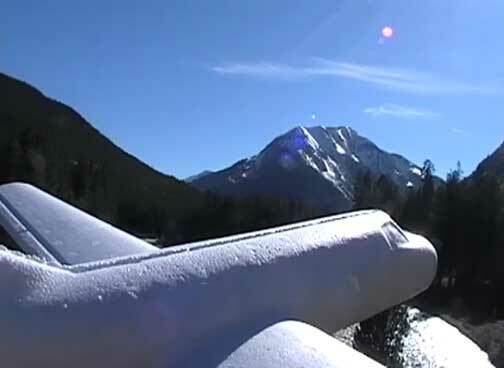 In these intimate films William F Cody, ‘Buffalo Bill’ & his long time friend and colleague Annie Oakley (real name Phoebe Ann Mosses), are played by a husband and wife team of Colorado-based impersonators. 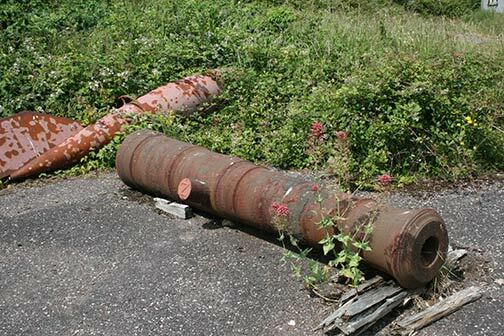 The video documents an intimate lament from both of the characters who reflect on their early lives and the cost that their notoriety and infamy had on their personal lives. 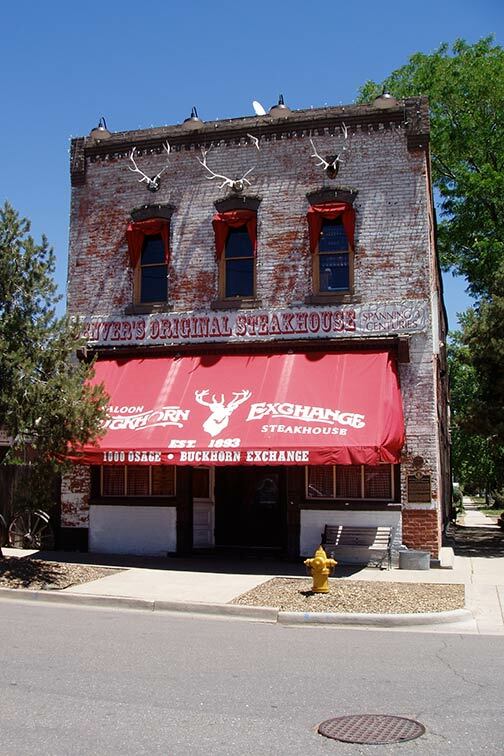 This work was filmed on location at the national Historic landmark of the Buckhorn Exchange in Denver. 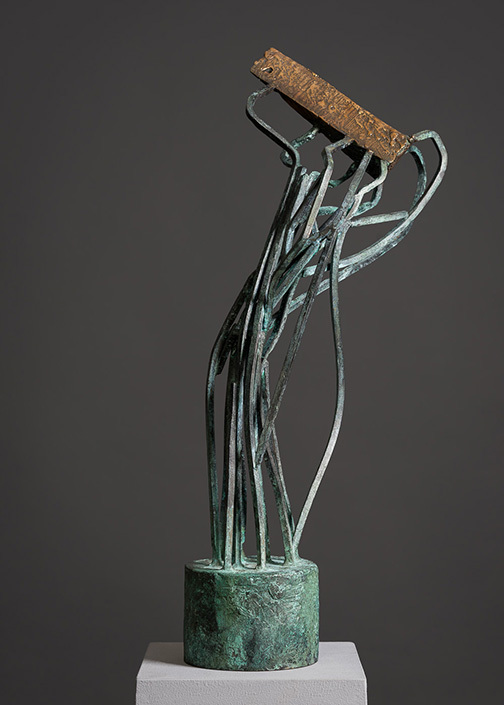 This work was commissioned By REDLINE Contemporary in Denver Colorado for the 2013 International HYBRID exhibition curated by Rian Kerrane. Please contact the Artist to view the 30min full HD work. 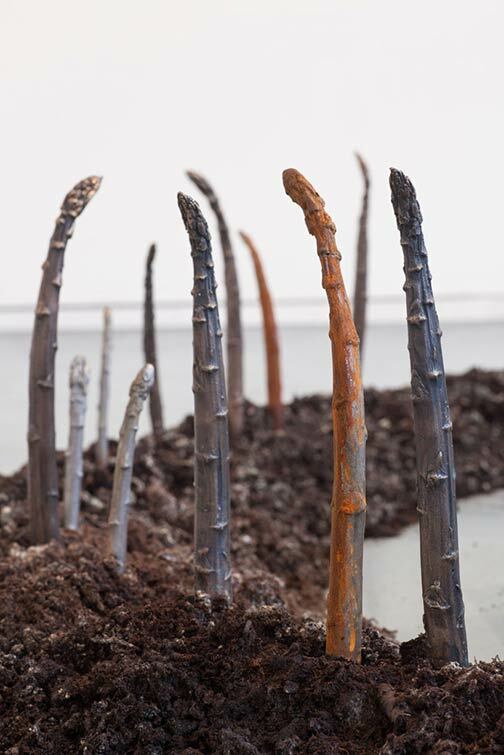 The sculptural element of this work is composed of a circular drill of cast iron and cast bronze asparagus planted in soil, combined with a kinetic, olfactive element that utilises scientific processes and distillation methods to examine bodily processes. 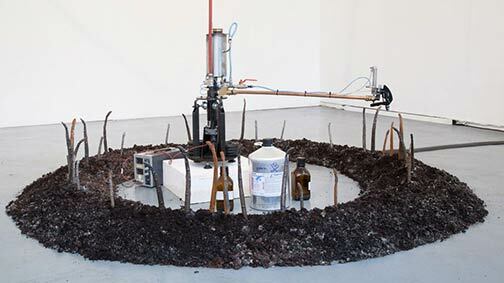 At the center of the round of the ‘growing’ asparagus is a motorised, rotating, spraying device which intermittently sprays the circular drill of cast asparagus with the essence of filtrated ‘asparagus urine’ carried by ethanol. This essence was obtained by collecting amounts of urine form the human body after eating small amounts of asparagus. 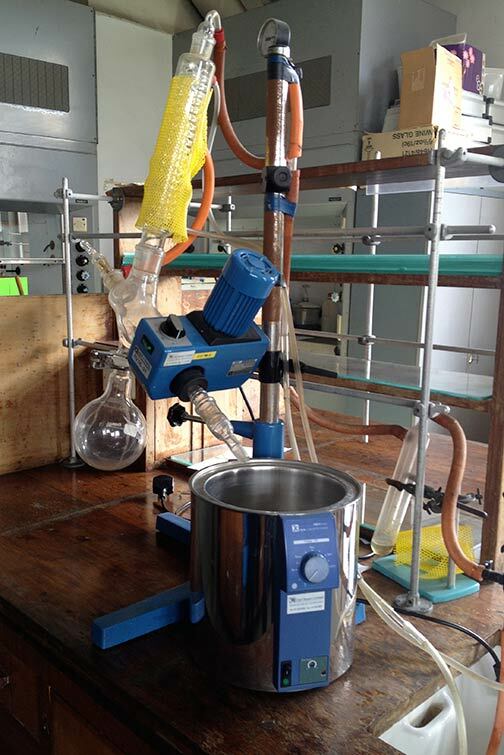 This was distilled and concentrated with the assistance of the chemistry department of University College Cork, Ireland. 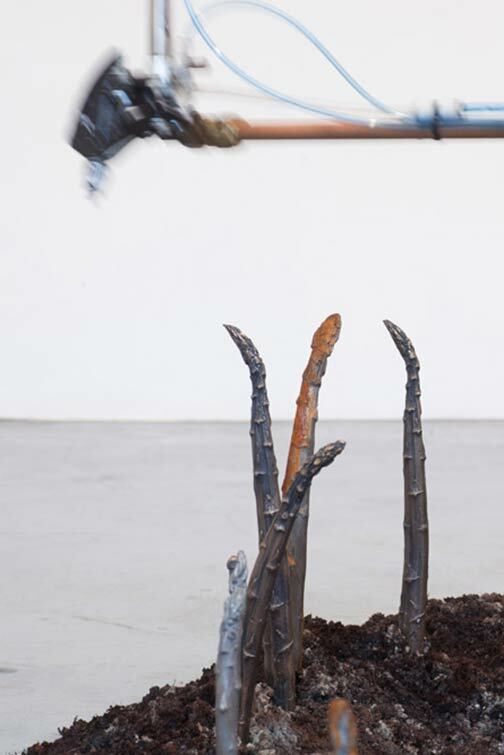 The work makes reference to ‘waste’ in terms of both bodily waste and wasteful financial and economical food practices. 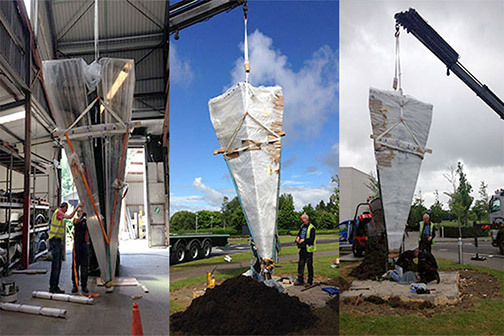 This major large-scale sculptural work was made in response to both the River Backwater and the Fermoy Scheme for flood defense. 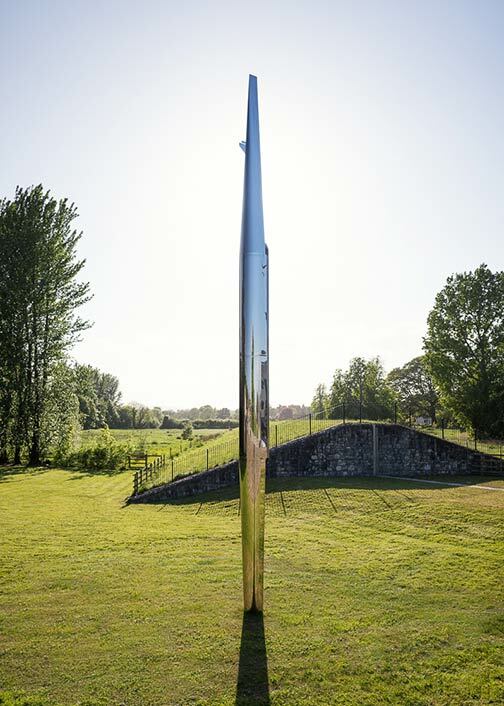 The commissioning process was managed by the National Sculpture Factory in Cork and the work was completed and installed in 2017. 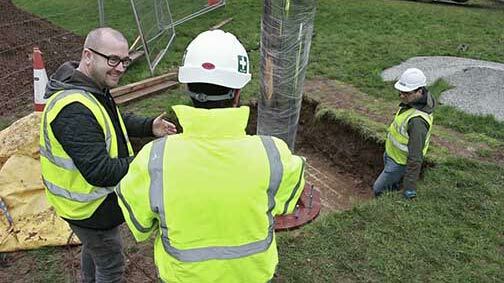 Commissioned by the Office of Public Works in partnership with Cork County Council. 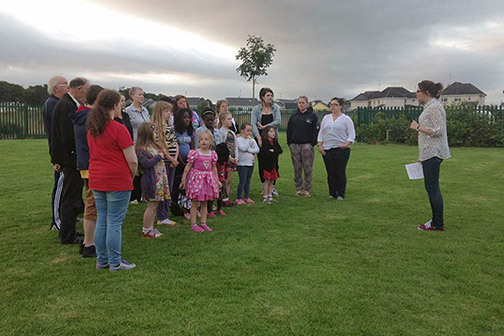 This community-engaged artwork formed a community choir open to all residents of the Gort Mhaoilir housing estate in Athenry. 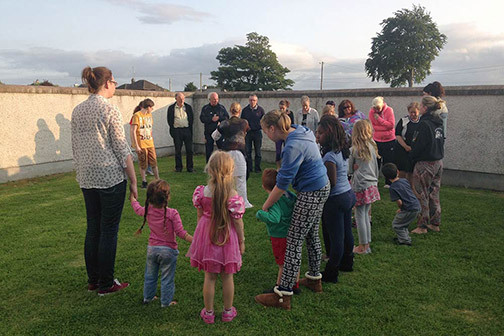 After numerous weeks of rehearsals the Gort Mhaoilir resident’s choir performed in the green area of their estate which was documented. 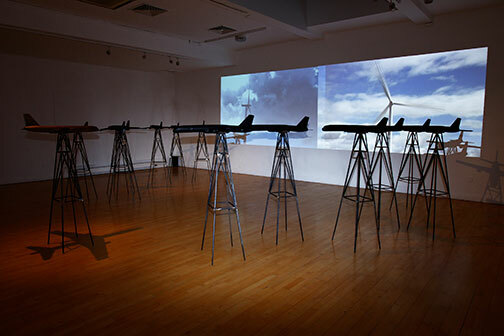 The choir performs the song The Fields of Athenry in this work which investigates both the place on which the song is based, and its common misconception. 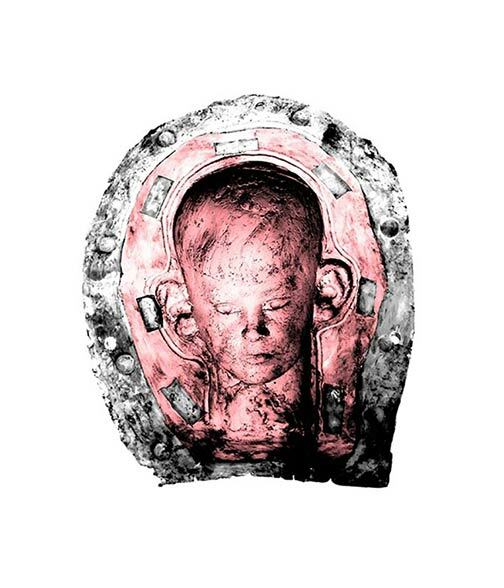 (It is a recently composed ballad that is often assumed to be from the mid 19th Century). 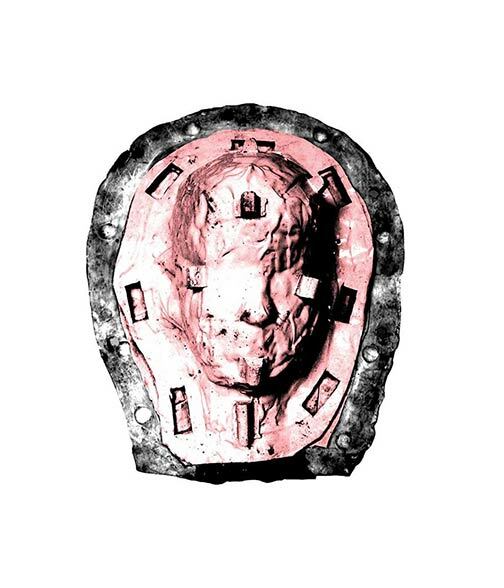 As well as having an ambiguous temporality the song has also transcended its spatial references becoming an anthem of the sports terraces in Ireland and further afield. 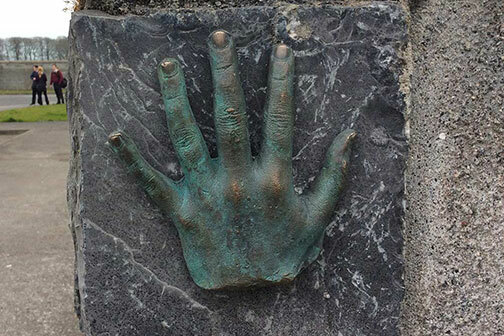 Furthermore across the globe it has become a symbol of Irish identity. 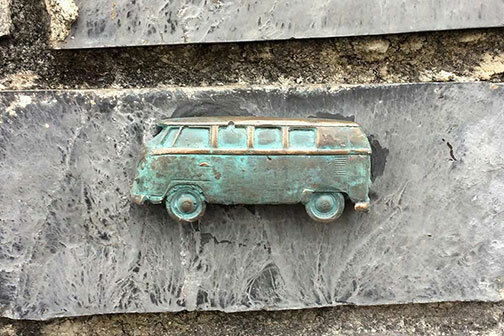 An additional part of the project was a small permanent sculpture trail that is composed of bronze/cast objects donated and created by children from the community. 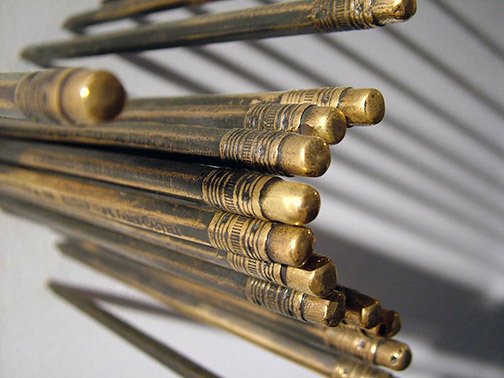 This work consists of over 2500 individually cast bronze pencils. 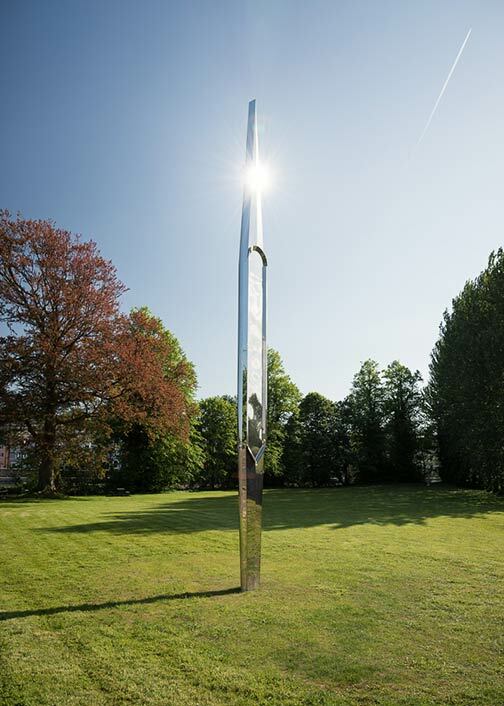 For this public artwork members of the public were asked to donate ‘significant’ pencils for casting and inclusion in the final work. 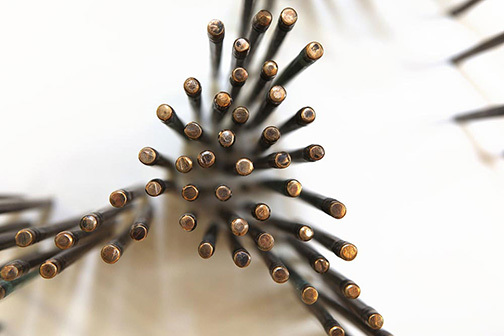 Many of the pencils donated, by writers, artists and architects in particular, were accompanied by extraordinary and poignant stories which were exhibited alongside the work, re imagining the pencil as a type of talisman or carrier of personal memory. 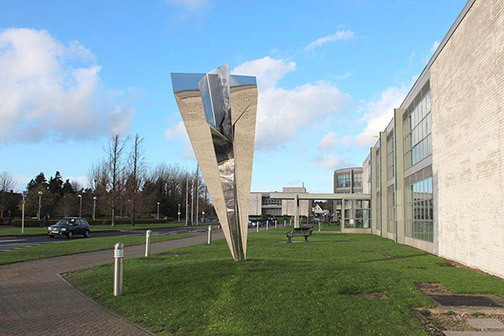 This 5-metre stainless steel sculpture is installed on the grounds of the Dundalk Institute of Technology Campus in County Louth. 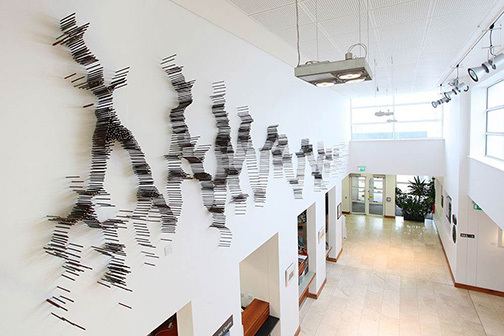 The work responds to the cross boarder peace and reconciliation intentions outlined in the building peace through arts program by the ACNI. 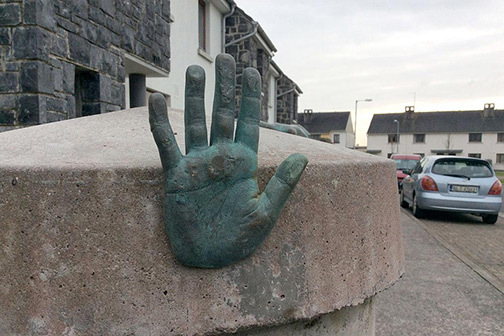 Commissioned & Funded by the Arts Council of Northern Ireland: ‘Building Peace through the Arts’, Re-imaginig communities program the European Union’s Programme for Peace and Reconciliation (PEACE III) managed by the Special EU Programmes Body and the International Fund for Ireland. 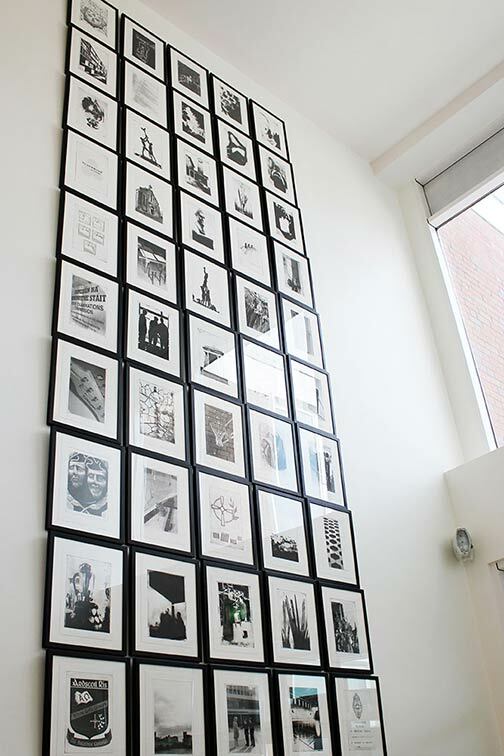 This public artwork is comprised of 50 photo etchings of images that relate to the everyday life and activities of Ardscoil Ris. 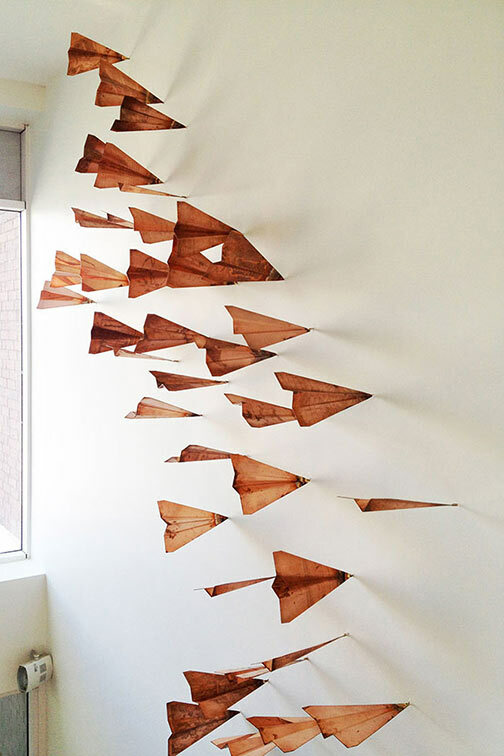 The second work is a sculptural work, located opposite the array of prints on the left hand sidewall of the reception, being comprised of the same 50 copper plates that made the students prints and that have now been folded into replica sculptures of paper airplanes. 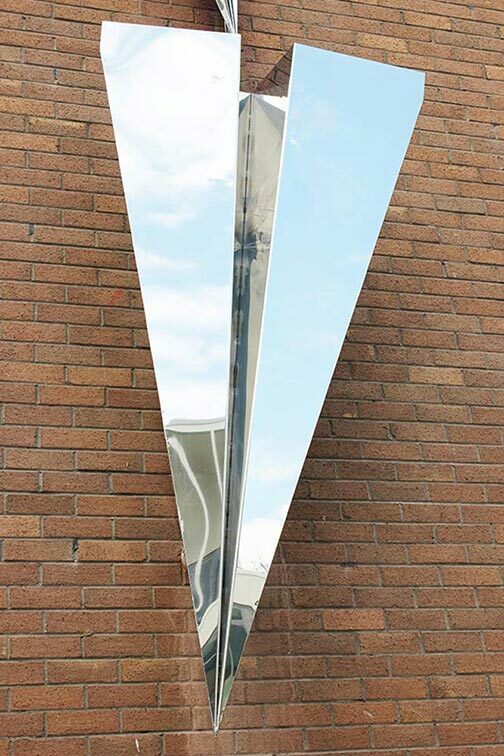 The external work is located at the far end of the newly created Ardscoil Ris courtyard. 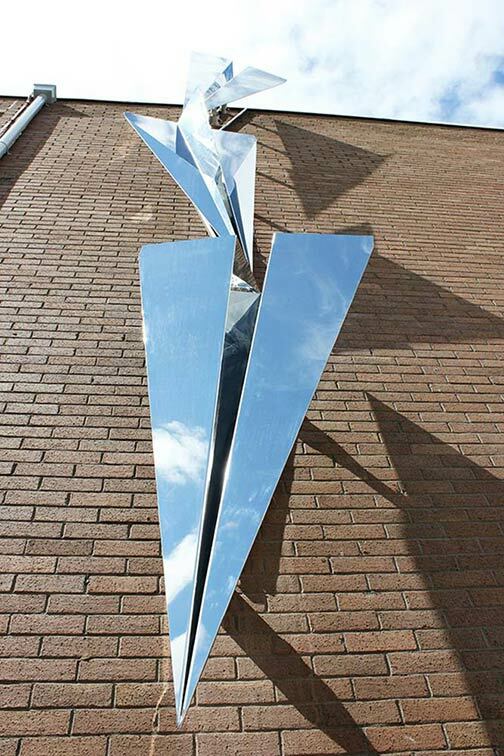 This work is comprised of there larges scale stainless steel sculptural replicas of paper airplanes. 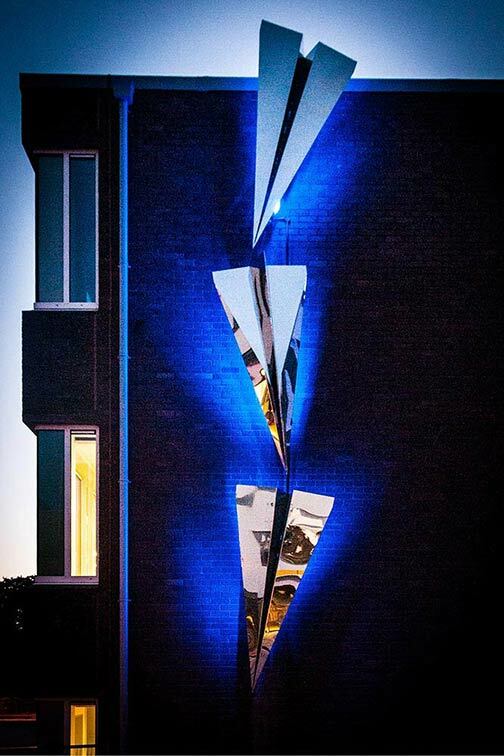 Commissioned by Ardscoil Ris & Healy & Partners Architects. 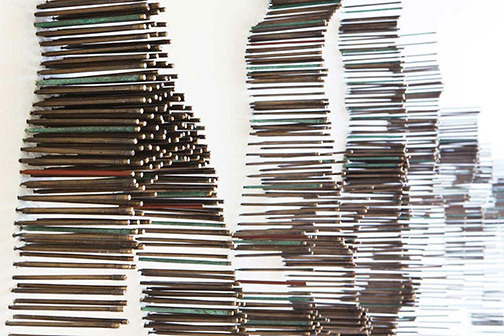 This work consists of multiple clusters of bronze pencils launched into the wall. 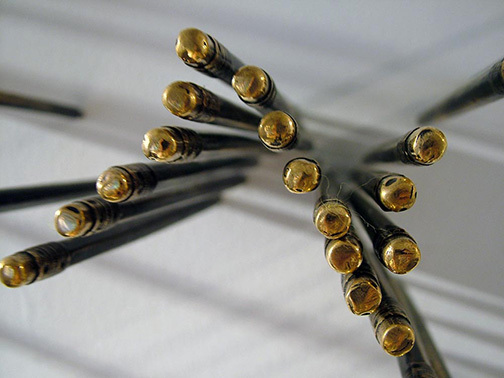 The pencils are accompanied by the sound of frantic scribbling which emanates from the surface of the wall, evoking both obsessive creativity and frustration. 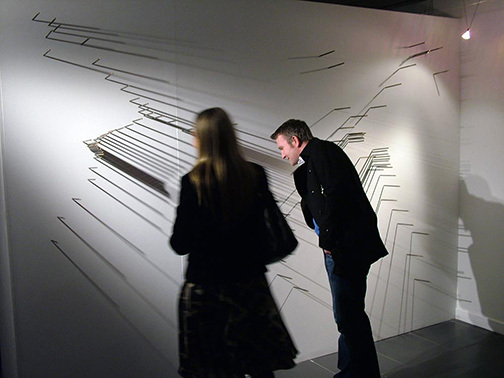 The pencils cast shadows on the wall, lines and traces which hint at the function of these mark making tools. 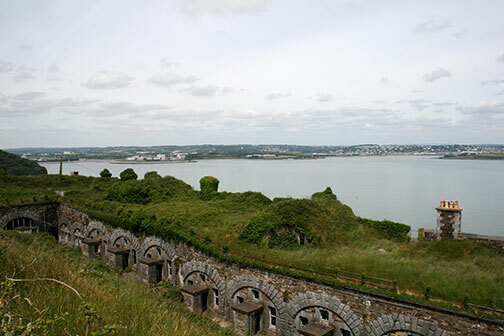 location, location, location juxtaposes three scenes which are the sites of past conflicts now existing as tourist attractions. 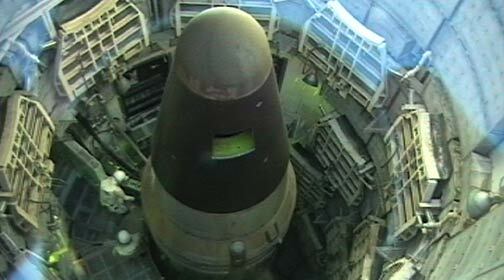 The first scene documents a tour around a Titan 2 Nuclear Missile Silo in Southern Arizona. 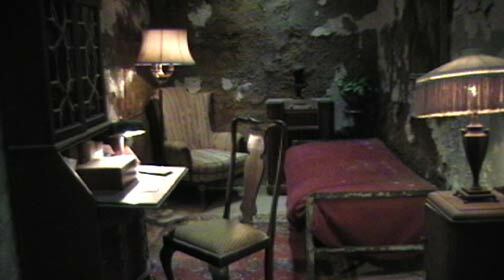 Scene two depicts Al Capone’s cell in The Philadelphia State Penitentiary. 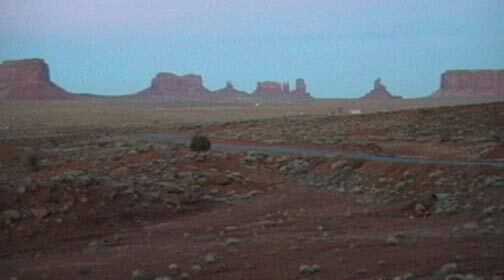 Scene three depicts the entrance to Monument Valley, Arizona. 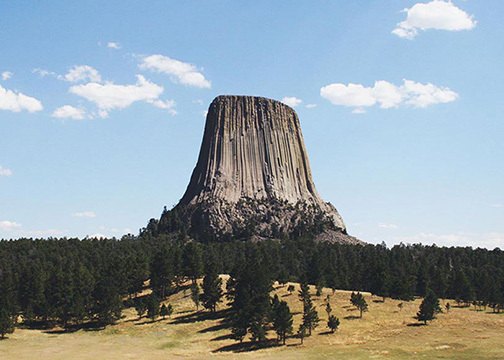 This is a site of grave and fabricated fictional conflicts as communicated to mass audiences in heroic western films in the 1950s & 60s by celebrated Hollywood directors, such as John Ford. 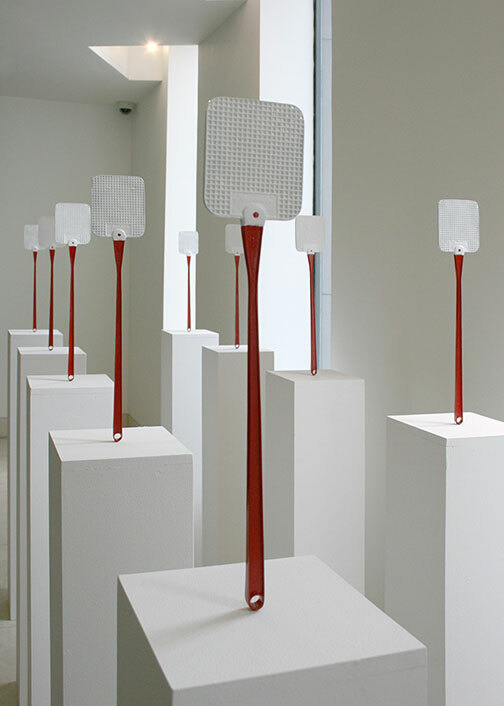 This installation comprised of bronze fly swats and insect sounds aims to explore the increasing ecological problem of insect migration and erratic hibernation & pollination patterns as a possible result of global warming and the life cycles of insects. 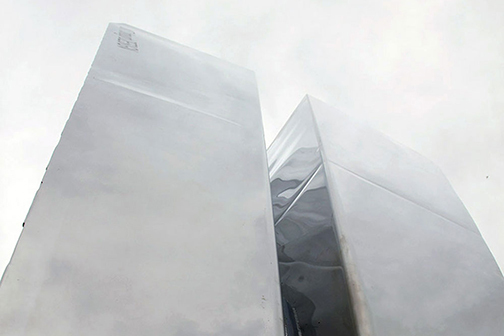 Commissioned for Global Warming at the ICE Box exhibition at the Philadelphia Museum of Art, 2008. 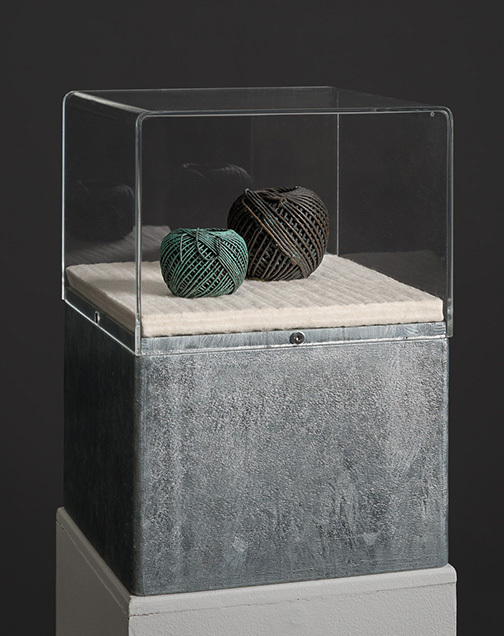 With thanks to Leslie Kaufman at Philadelphia Sculptors & Adelina Vlas at The Philadelphia Museum of Art. 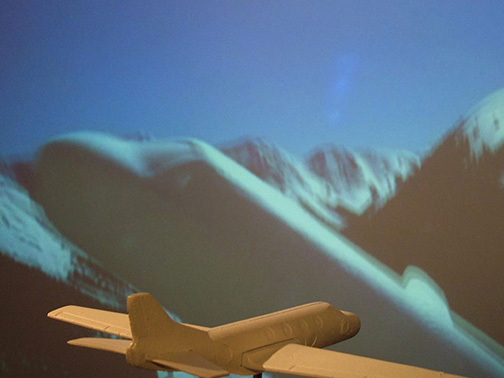 The Rocky Mountain Flyer charts the tragicomic journey of a polystyrene model jet plane as it attempts to cross the Colorado Rocky Mountains. 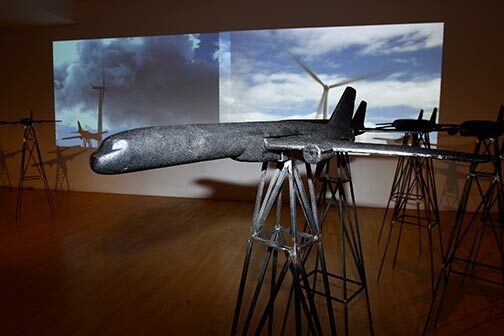 The film is accompanied by a replica plane made of recycled scrap iron, found and collected from numerous locations in Denver, Colarado, USA. 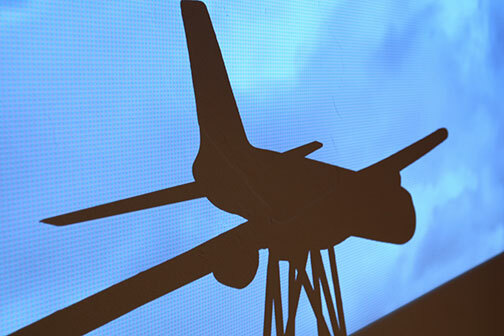 This installation is comprised of wax and bronze replicas of polystyrene planes accompanied by digital projections and sound. 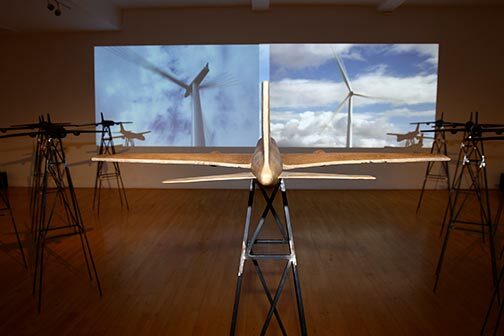 These planes are each positioned on a steel structure reminiscent of a pylon or an oil derrick. 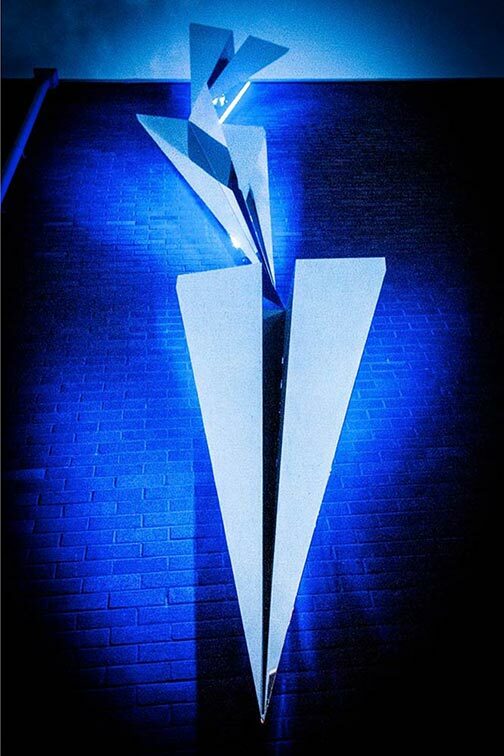 The pylons suspend the planes at various heights throughout the space. 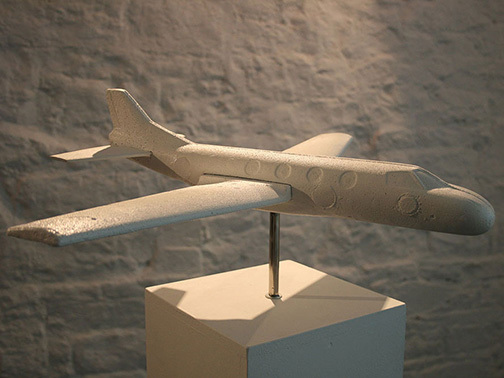 The wax planes contain recycled aviation oil, evoking environmental issues and industry.